The distinctive glass domed roof of the Galeries St-Hubert in the Lower Town of Brussels, Belgium. 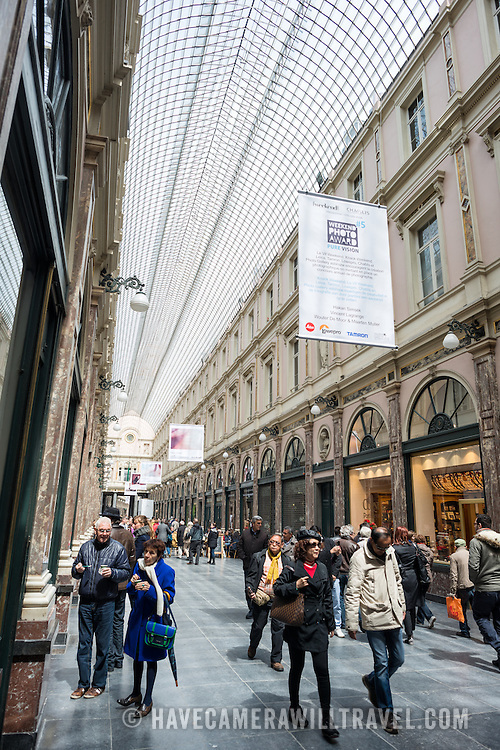 Opened in 1847, St-Hubert was the first shopping arcade in Europe. It contains luxury shops and cafes and is made up of three smaller galleries: Galerie du Roi, Galerie de la Reine, and Galerie des Princes.